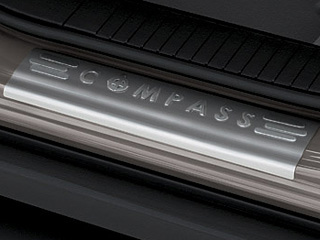 Door Sill Guards help protect the interior door sills on your 2007-2016 MK Compass from scratches. Available in brushed stainless steel and feature vehicle logo. Stainless steel, with Compass logo, set of four.